Hon Ehiozuwa who lost the election to Jude Ise-Idehen of the PDP insisted that he won the election and President Muhammadu Buhari won in Edo. Speaking to newsmen shortly after leading a protest march to the Edo State office of the Independent National Electoral Commission (INEC) Hon Ehiozuwa said the Electoral Officer called him thinking he was talking to the State chairman of the PDP, Chief Dan Orbih. He said he was also protesting refusal of the INEC’s Legal Officer to give him access to Certify True Copies of all Units result sheets used for Ikpoba-Okha/Egor Constituency. Agbonnayima said there was a hidden agenda by INEC to delay the process of his filing petition at the Tribunal. “When I received the call, I was shocked. The man thought I was the PDP chairman. He opened up on how he was able to manipulate the system for the PDP and told me to bring the balance payment. “The man said he was the Collating Officer for Ward six. He said they gave him the number of Ise-Idehen but he decided to call the PDP chairman first. “He has been arrested with others he confessed to have participated in the crime. The security agencies are doing their work and they would soon come out with their findings. “I insisted that the election was manipulated in Egor/Ikpoba-Okha constituency. Mr. President won the Presidential election in Edo State. There are so many glaring evidence. The election was rigged and manipulated by PDP leaders in collaboration with some INEC officials. “My lawyer wrote to INEC seeking to get access to Certify True Copies of the results all unit result sheets. “The letter was approved by the Resident Electoral Commissioner. This is to enable us file our case within the stipulated 21 days. The Legal Adviser is now violating Section 104 of the Evidence Act. He is telling us to wait till after the Saturday House of Assembly election. There is a motive to derail the wheel of progress. This INEC Legal Adviser is frustrating us. 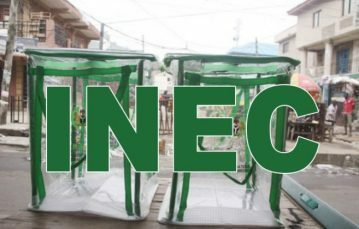 Head of Administration of INEC in Edo, Mr. Christian Utong, who received the petition from Agbonnayima said the Legal Adviser had to take permission from the headquarters before releasing the CTC of the result sheets.